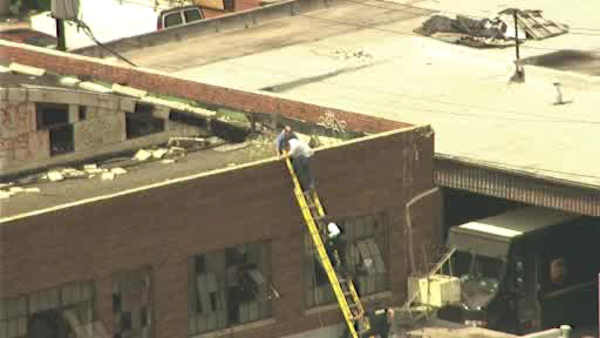 NEWARK, New Jersey (WABC) -- Police say two people were rescued from the roof of a Newark warehouse Friday following a confrontation with an armed homeless man. The incident unfolded at 451 Frelinghuysen Avenue. A suspect is in custody. The two rescued are the new owners of the building. They were not hurt. They were doing a walk-through of the building when they said they were confronted by a squatter with a shotgun. They went to the roof and called police. After several minutes, members of the SWAT team entered and took a man into custody. Investigators searched the warehouse for the weapon and recovered a BB gun.